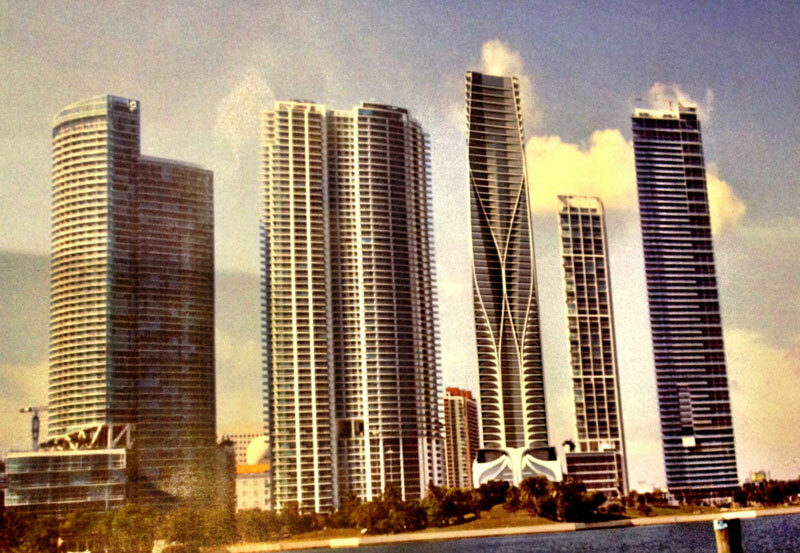 After a tumultuous few years, Miami’s real estate market is on the rise once again. When the recession hit the city in 2007, new developments came to a dramatic halt and abandoned construction sites became ubiquitous. 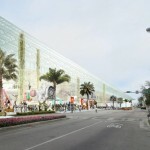 But now, a surge of new projects—running the gamut from residential and retail to hotels and cultural institutions—are cropping up around Miami with many more slated for construction in the next few years. 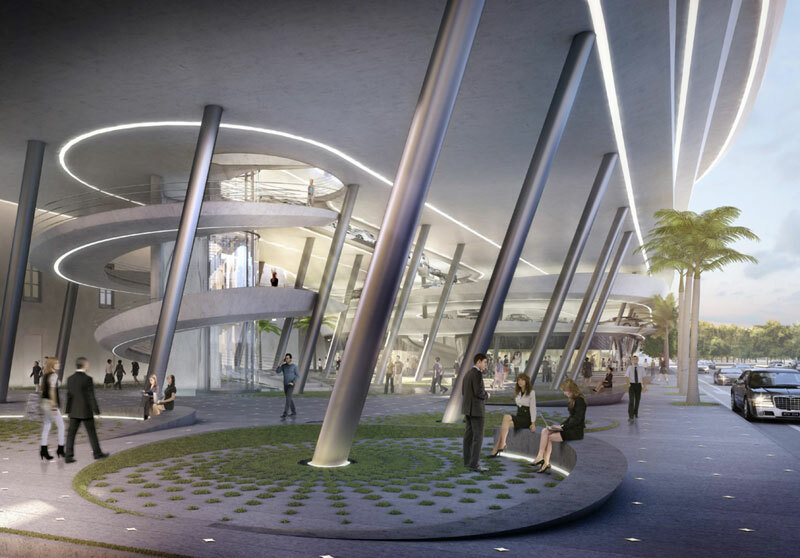 And some heavy hitters, such as Zaha Hadid, Rem Koolhaas, Herzog and de Meuron, and Bjarke Ingels, have signed up to lend their design sensibility to Miami’s changing landscape. 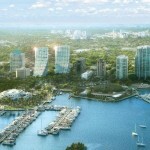 The Miami Herald reported that the city now boasts 20 new condo towers with an additional five towers in the works for neighborhoods just north and south of downtown Miami. AN has compiled a list of the most significant projects taking shape in the Magic City. 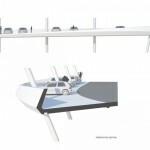 Your typical parking garage is usually a utilitarian, aesthetically bland structure that falls short on imagination. 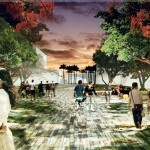 The city of Miami, however, has been reversing this trend and has commissioned architects to elevate the run-of-the-mill car park into a one-of-a-kind piece of architecture that draws visitors. 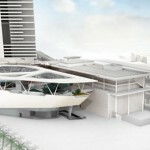 Zaha Hadid is the latest architect to put her spin on the parking garage. 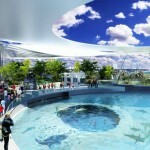 For Collins Park, she has designed a sleek, curving structure that offers 400 parking spaces and retail on the ground level. 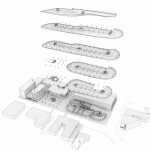 The car park is in the process of being built. 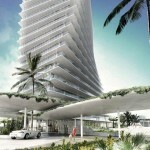 Zaha Hadid is leaving her imprint on Miami. Next up, she’ll design a high-end residential tower, One Thousand Museum, for local developers Gregg Covin and Louis Birdman, that will be located on Biscayne Boulevard in Downtown Miami across from what will be Museum Park. 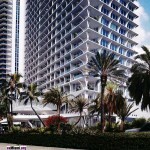 According to Miami Condo Investments, the luxury high-rise will consist of 83 units and will run from $4 million up $12 million. 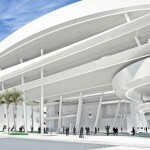 It seems like Herzog & De Meuron always have something brewing in Miami. 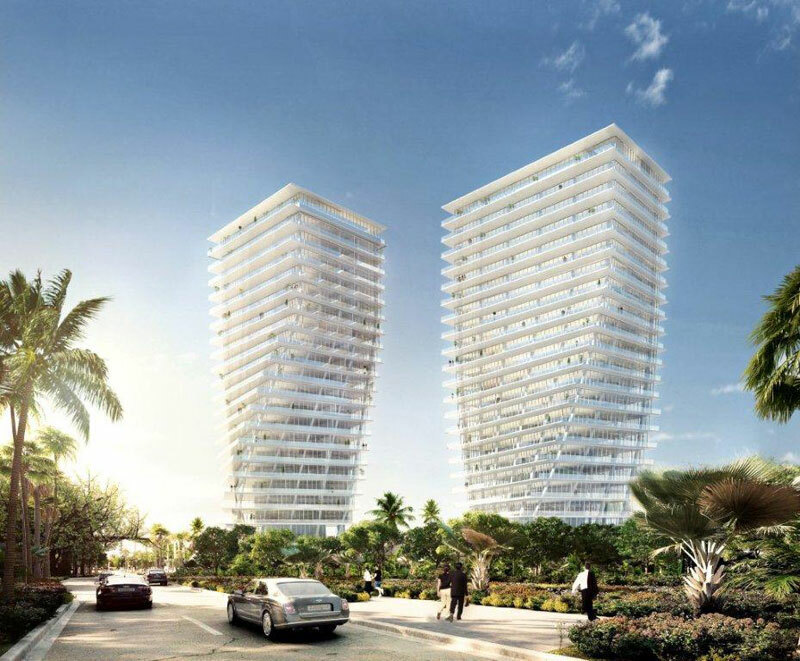 The firm just released renderings of their new luxury condo, Jade Signature, located right on the ocean in Sunny Isles Beach. 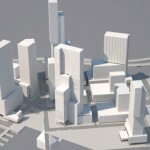 The planned 650-foot-tall, 55-story tower, though, might be over the Federal Aviation Administration’s height limit since any building over 499-feet at that location is considered dangerous. 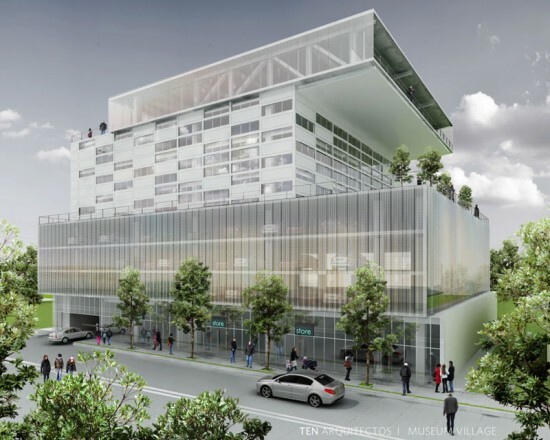 Developer Asi Cymbal has selected Enrique Norten and TEN Arquitectos to design a new mid-rise commercial building in Miami’s Design District. 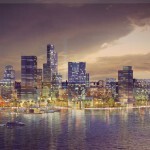 The development will consists of high-end retail, parking, offices, event space, and rooftop restaurant. 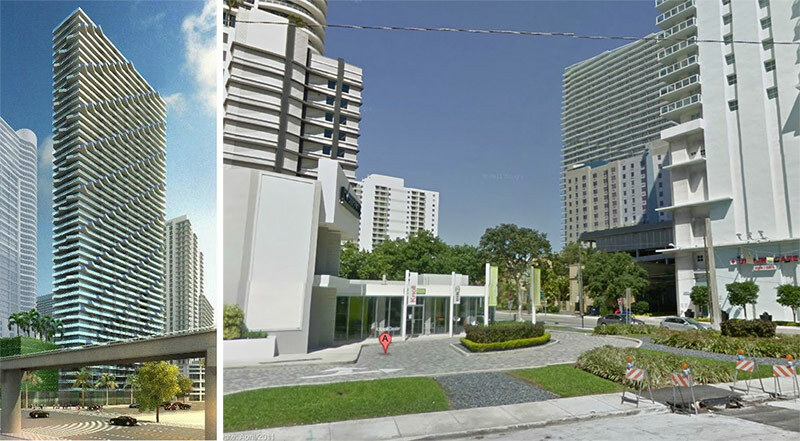 The developer and Curbed Miami are currently holding a competition to name the new building. 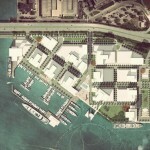 PortMiami launched a competition in 2011 commissioning plans for a new commercial district, dubbed the World Trade Center, and just recently revealed finalist PlusUrbia’s designs, which consists of a mix of infrastructure updates and major commercial and residential development. PlusUrbia’s plan includes new cruise-ship terminals and berths, and according to Curbed, skyscrapers, an expanded marina, hotels, retail, and luxury towers. The chatter in Miami is that local developer Jorge Perez of the Related Group plans on building a 132-room SLS hotel designed by Arquitectonics with interiors by Philippe Starck, in addition to 450 condos ranging in size from 720 to 1,500 square feet, in the Brickell area. 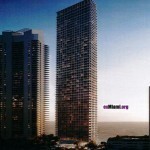 The 51-story tower is currently under pre-construction and is expected to be complete in 2015. 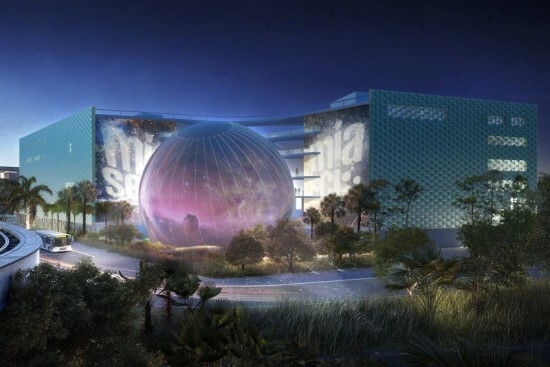 The Patricia and Phillip Frost Museum of Science by Grimshaw. The new Patricia and Phillip Frost Museum of Science (formally the Miami Science Museum), designed by Grimshaw Architects, is a $273 million complex that will house galleries, a planetarium, and wildlife center. This 250,000-square-foot building, located in Museum Park, will function like a “living building” with a vegetated roof and neighboring wetlands. 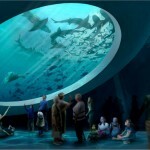 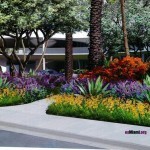 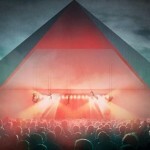 The project is expected to be completed by 2014. 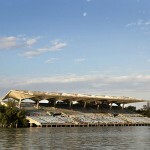 This modernist 6,566-seat stadium perched on the Virginia Key has been abandoned for over twenty years, but now, steps are being taken to bring it back to life. 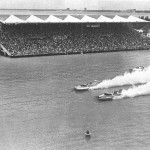 Cuban-American architect Hilario Candela’s concrete modernist stadium is the first purpose-built venue for powerboat racing in the US. 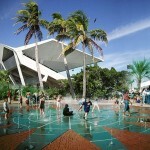 A few years ago, the stadium, now listed as a National Treasure, received $3 million in funding from Miami-Dade County Commissioners to preserve the modernist stadium and also turn it back into a water sports venue with concerts. At the end of last year, the Marine Stadium site plan, which includes a “Flex Space Park” and “Maritime Center” for operations and amenities, won the city’s approval, and next it goes in front of the Miami City Commission and the Miami Sports and Exhibition Authority. 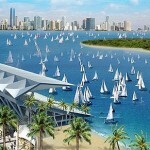 Once the plan gets the green light, Friends of Miami Marine Stadium will focus their efforts on fundraising for the stadium. 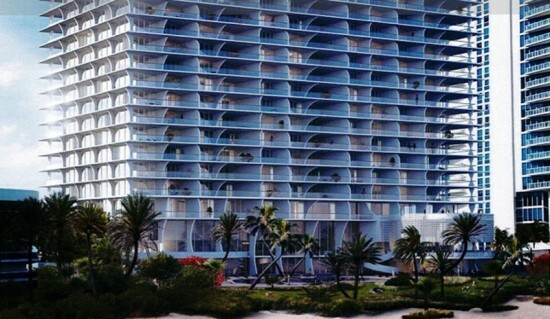 The once popular celebrity-frequented Grand Bay Hotel will become the site of Bjarke Ingels’ two new twisting residential towers in Coconut Grove. 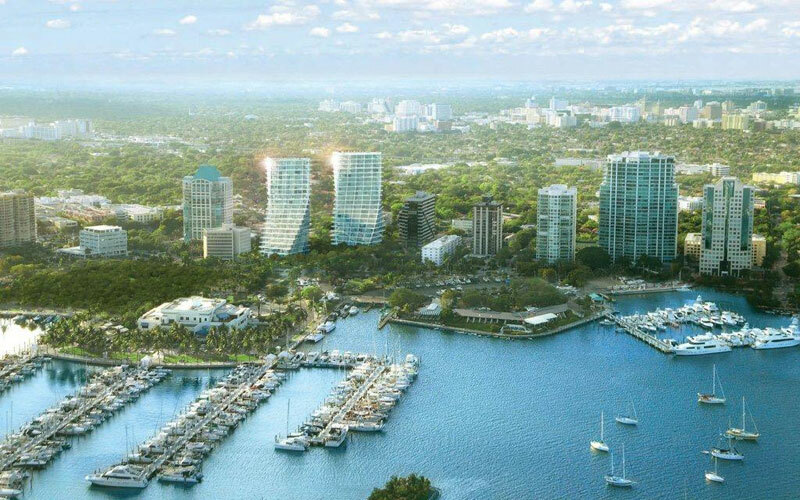 The 20-story luxurious high-rises will feature terraces, wraparound balconies, and a roof deck with private and communal pools. 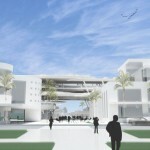 The $400 million project is slated for completion in 2014. 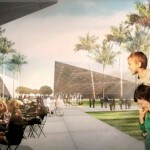 Rem Koolhaas’ proposal for the Miami Beach Convention Center. 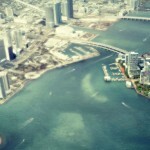 The competition is heating up in Miami between two developments teams vying for the massive Miami Beach Convention Center project. 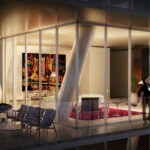 According to Curbed, Rem Koolhaas, the architect on the South Beach ACE team (with developers Robert Wennett and Tishman and landscape architect Raymond Jungles), went head to head with Bjarke Ingels of the Portman-CMC team (with developr Ugo Columbo and landscape architects West 8) at a public meeting a few weeks ago to show off their designs. 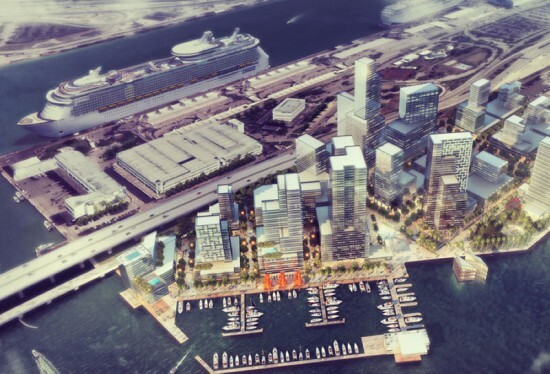 Both teams propose new landscaping and parks, retail space, and residential developments for the 52-acre site in addition to plans for the convention center and updating the area around City Hall. 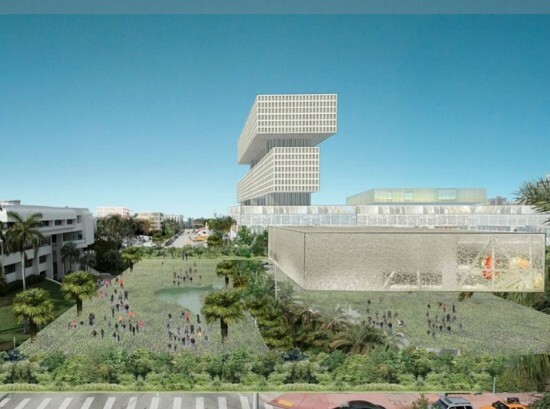 Rendering of Herzog & De Meuron’s Pérez Art Museum Miami. 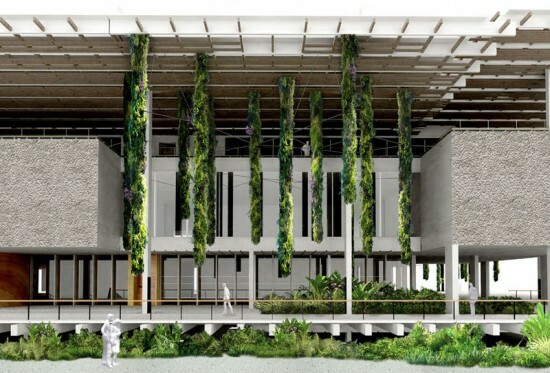 Just as Herzog & de Meuron embarks on the Jade Signature tower, the firm is nearing completion of its 200,000 square-foot Pérez Art Museum Miami (PAMM and formally know as the Miami Art Museum). The new three-story building will house interior and exterior programming space for the museum’s collections and special exhibitions; an educational complex with classrooms, auditorium, and digital workspaces; and a restaurant and store. 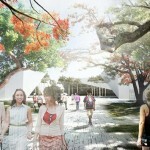 Shaded by a canopy, the museum will sit on an elevated platform and open to a veranda and plazas. 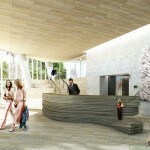 If all goes as planned, the new building will be open to the public by fall of 2013.